The perfect way to be able to sit, rest and gently lob fire-wood on to your fire pit or brazier. 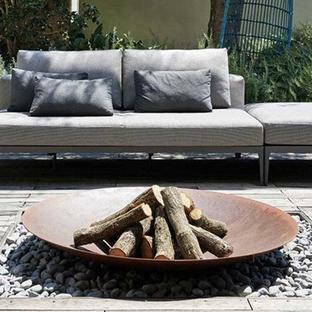 A delightful additional for any garden or outdoor space where there is an outdoor fire pit or Chimeneria to hand. 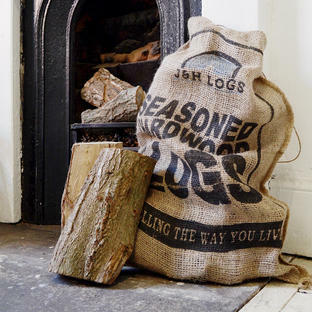 This stylish log store keeps your logs and kindling dry and tidy and at the same time allowing you to sit and relax and take the warmth of your cosy fire in. 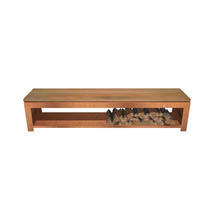 The hardwood seat gives extra comfort and practicality. 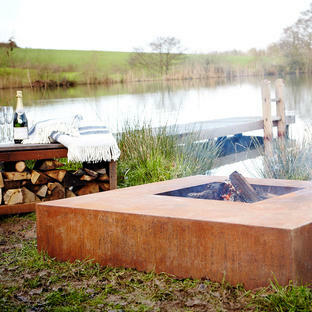 Choose from clean, lined black steel finish or industrial Corten Steel. 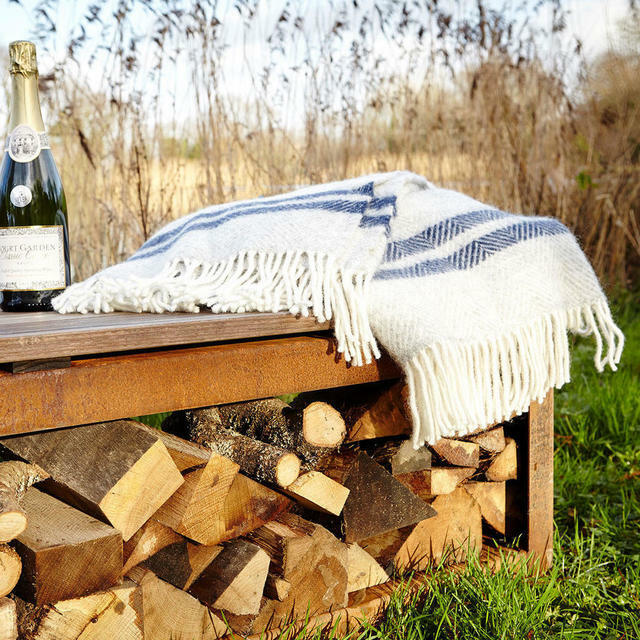 The top of the wood store bench is made from Garapa hardwood, a wood often used for decking due to it durability. 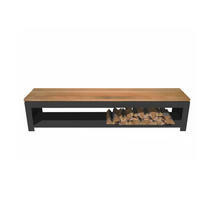 As with all hardwood the wood will weather to a silver grey patina.